Or, three magicians on camels (with gold, frankincense and myrrh) follow a star to a stable where a virgin gives birth leaning against a column amidst straw and animals. Is Christmas too commercial? Has it lost its meaning? What is the real meaning of Christmas? Has it any value — and has it any value for non-Christians? These are good and important questions — and they need answered once and for all! IMAGINE everyone smoked. Even Santa Claus. Once upon a time, and not all that long ago, that was the case: you could smoke cigarettes openly and indoors. 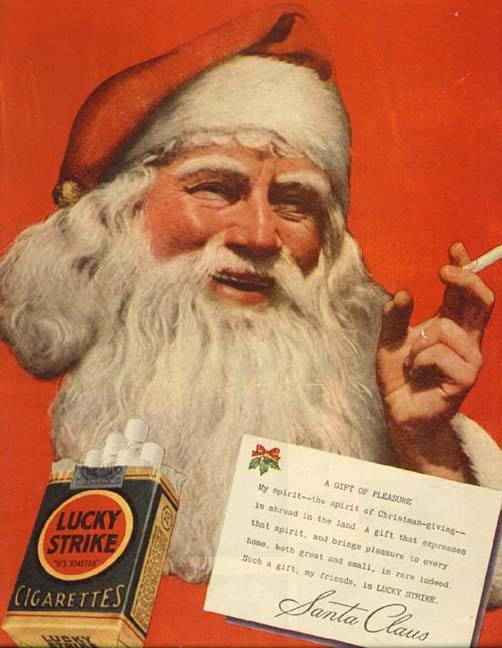 Heck, I can remember visiting my GP — I sat in the surgery waiting room reading a magazine and smoking (like everyone else) — and when I was called in, the doctor lit-up and offered me a cigarette from a lovely cigarette box he kept on his desk. Hard to imagine today! 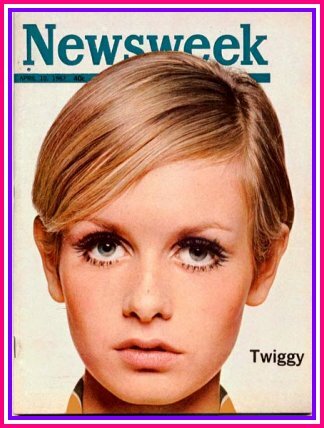 THE reason why girls are bulimic and anorexic in the Western World today is down to one person: Twiggy.